Keptin-Jr are a Dutch-based company specialising in making toys from natural materials. 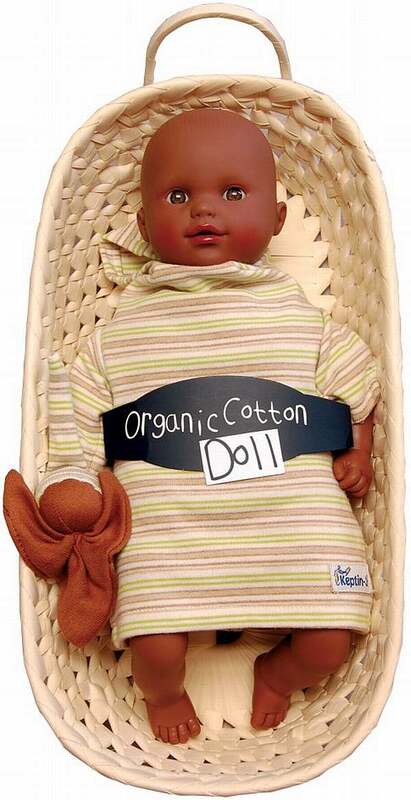 These darling baby dolls are made from BPA & phthalate-free vinyl with an organic cotton torso and clothing. They are stuffed with a special biodegradable fibre derived from corn, not petroleum. There’s three to choose from and each comes in a natural woven moses basket with their own organic cotton toy. What’s more they are machine-washable, so should last and last. With such eco-credentials, these are great as a special present for both girls and boys. I wish I had known about these before spending way, way too much on a very plastic, non-washable baby doll for my daughter! 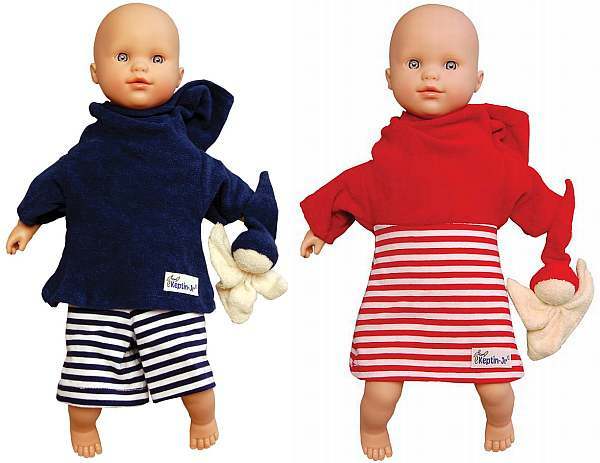 Available from local stockist Eco Toys, Keptin Jr baby dolls cost a very reasonable $85.